This is Page 2 of 3 - the best of September 2010! 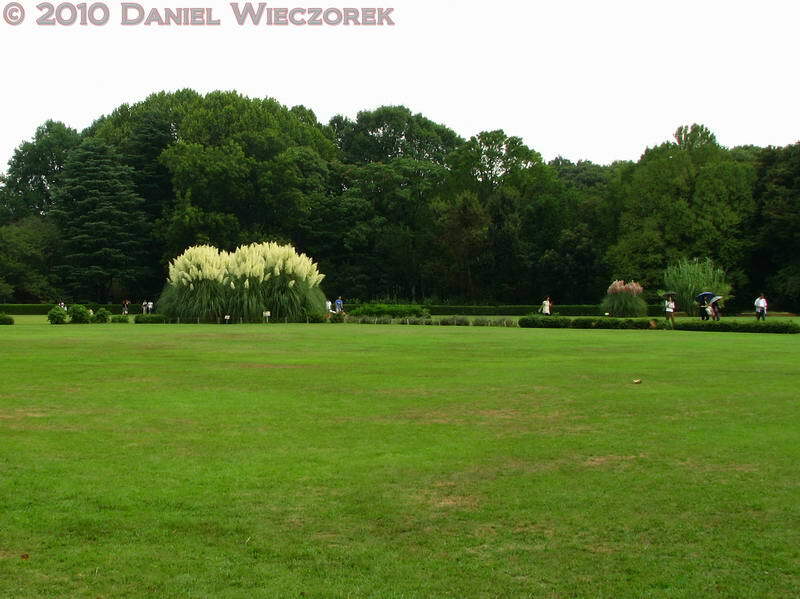 This page begins with September 11th, a trip to Nogawa Park - near our house. 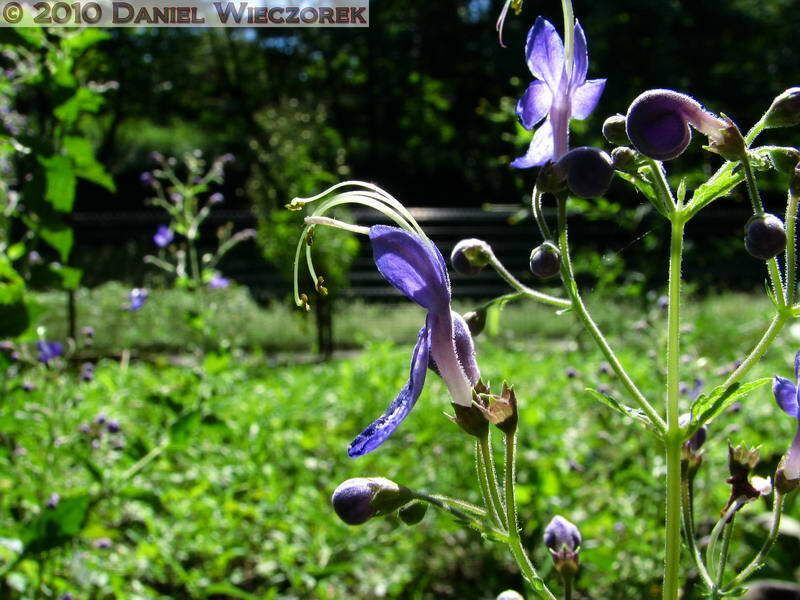 Next we visit Jindai Botanical Garden on September 12th. 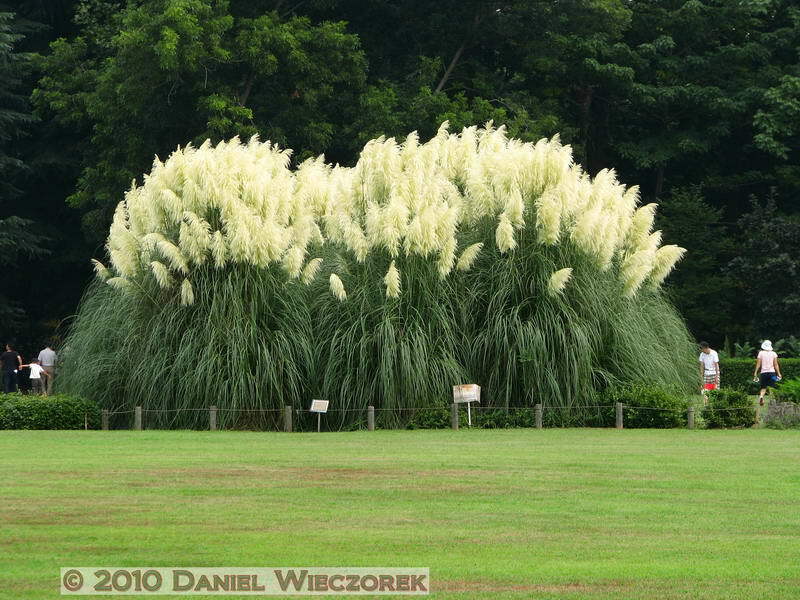 This page takes you through the 25th - another visit to Nogawa Park. Click on any thumbnail to begin. 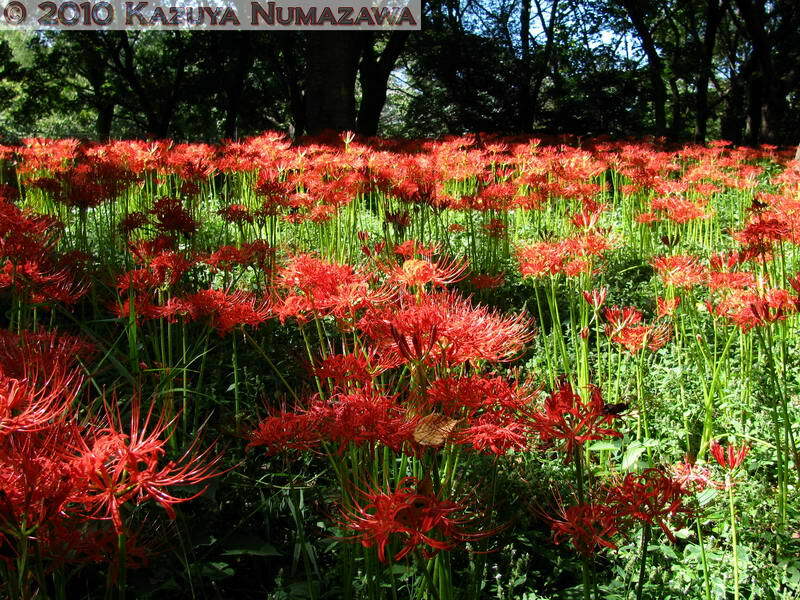 On Saturday, September 11th, Kazuya and I went to the Flowers Part of Nogawa Park to check out what fall flowers were in bloom. 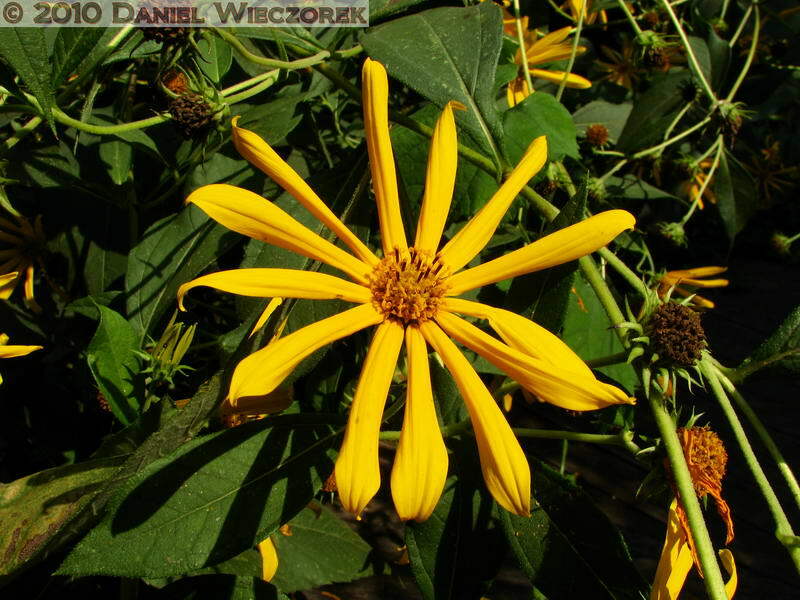 We found Helianthus strumosus, the first photo in this row, and an abundance of Liriope muscari (2nd and 3rd photos). 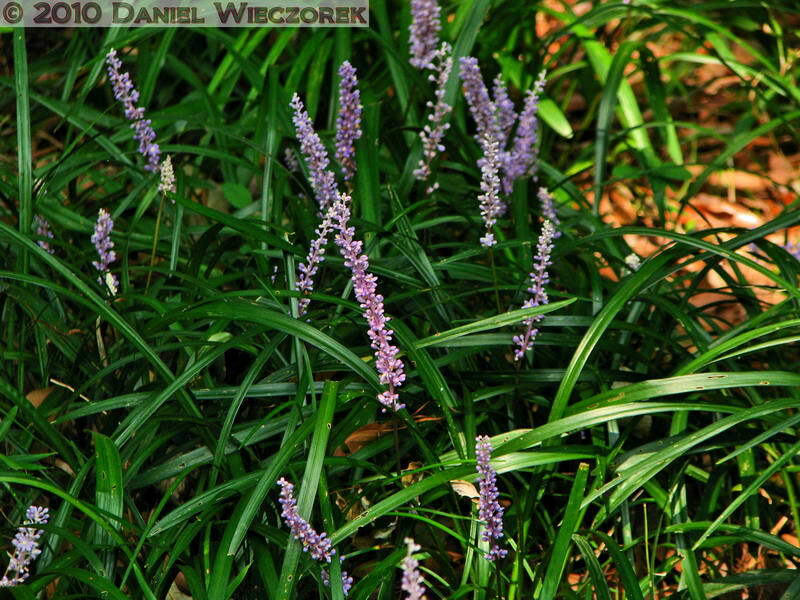 Here is a closer shot of Liriope muscari. 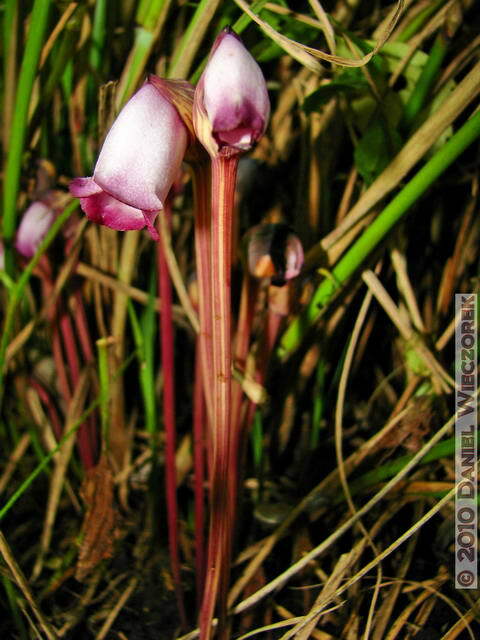 The 2nd photo is a parasite on certain kinds of grasses. 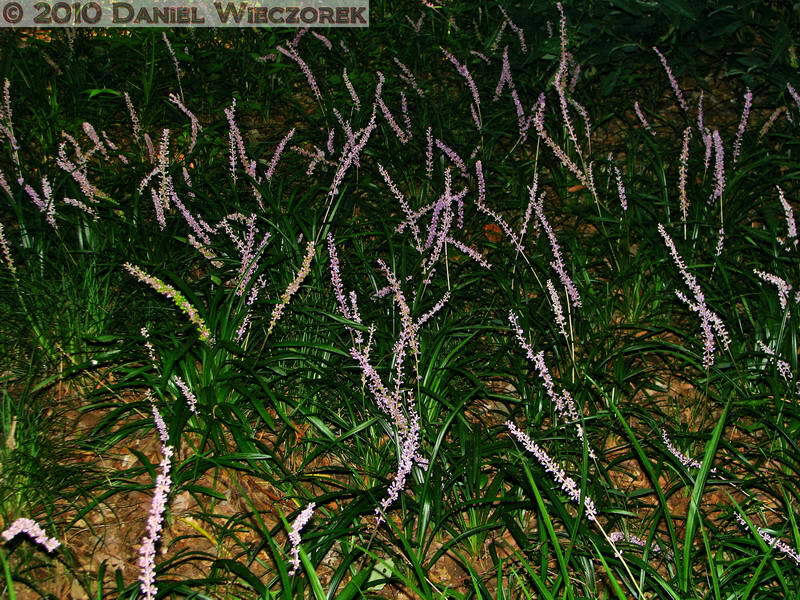 It is Aeginetia indica and it is a non-photosynthetic plant. And that was all we found of interest at Nogawa Park. 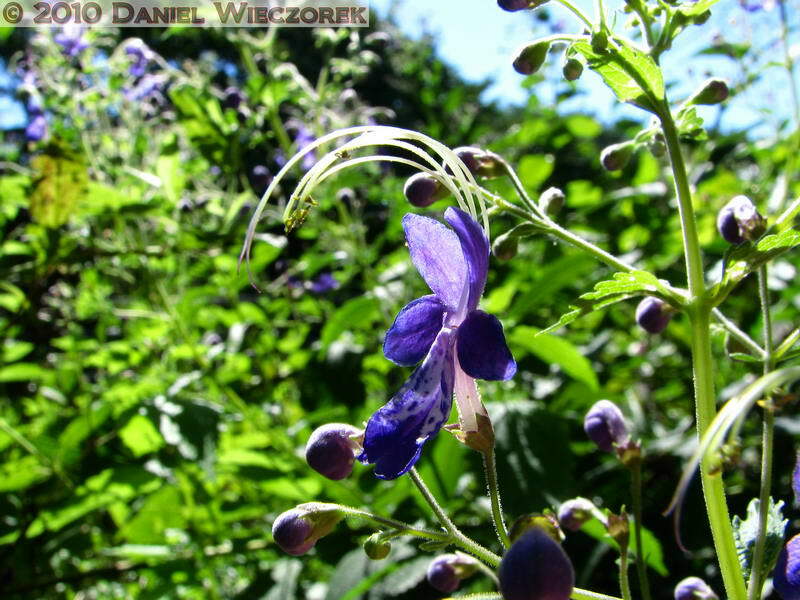 On Sunday, September 12th, we went to Jindai Botanical Garden and walked around there to see what fall flowers were in bloom. 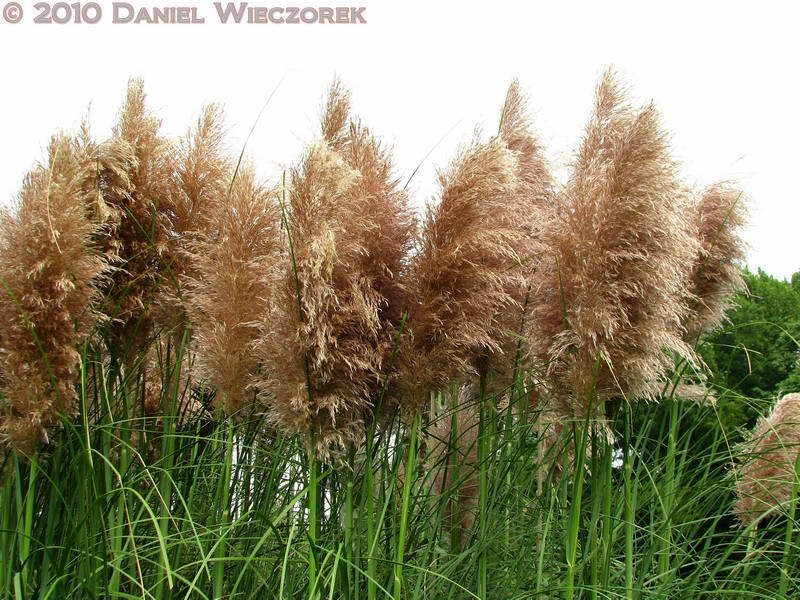 As you can see in this row - the Pampas Grass is doing well this year. They finally put up signs with the Scientific Names too. In the first photo you can see both types - on the left you can see the white headed type and on the right side you can see the red headed type. 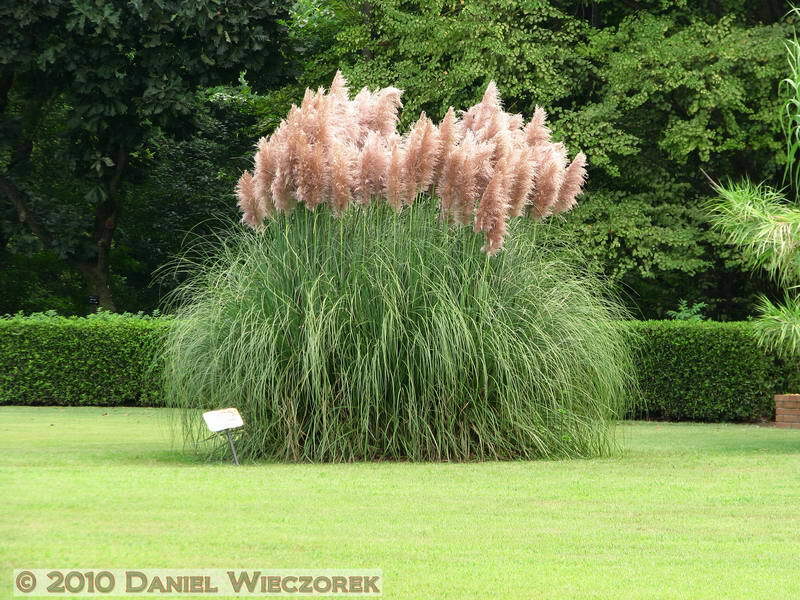 In the 2nd photo you see Cortaderia selloana and in the 3rd photo you see Cortaderia carminea-rendalateri. 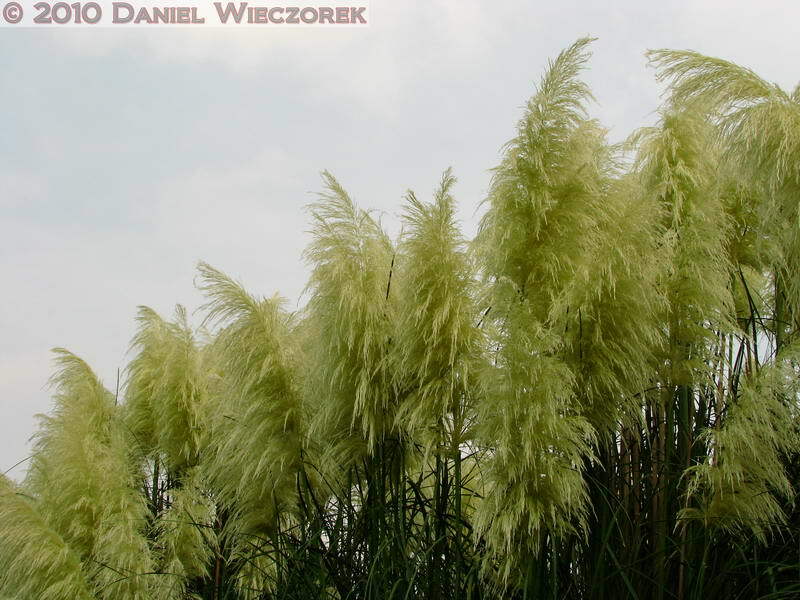 Here are closer shots of both Cortaderia selloana (first photo) and Cortaderia carminea-rendalateri (second photo). 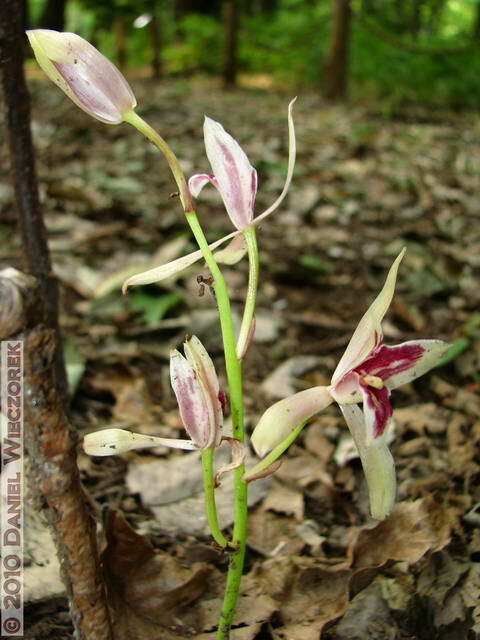 The 3rd shot in this row is Cymbidium nipponicum aka C. macrorhizon - a saprophyte on various tree roots. This was one of the best specimens which we have ever found. 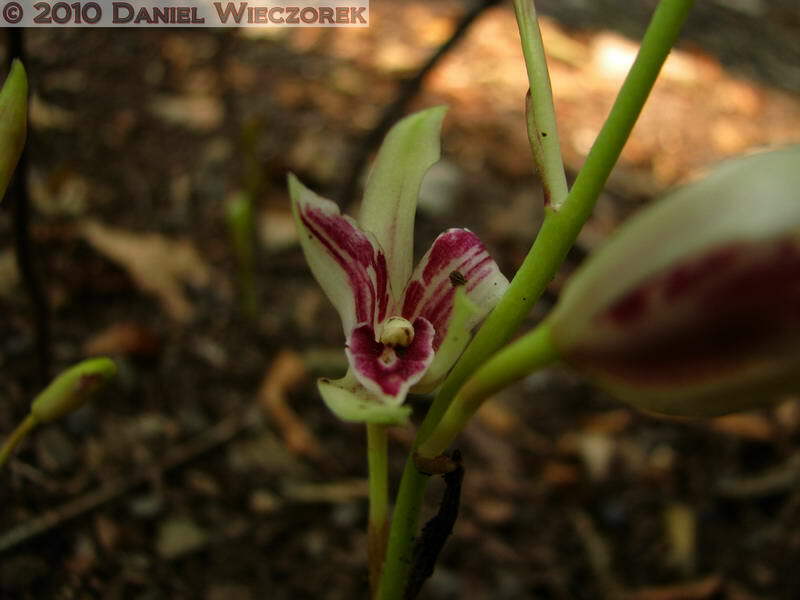 The first shot here is again Cymbidium nipponicum aka C. macrorhizon - a saprophyte on various tree roots. 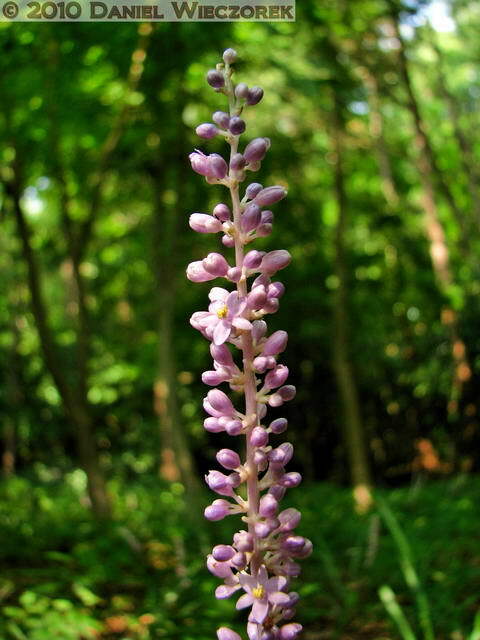 This was surely the best specimen which we have ever found of this plant. 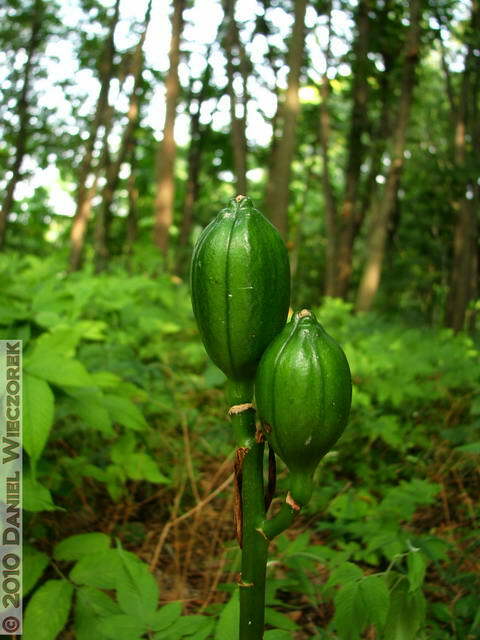 The 2nd shot is some kind of Lily Seedhead. And, that's it for the weekend of September 11 - 12. 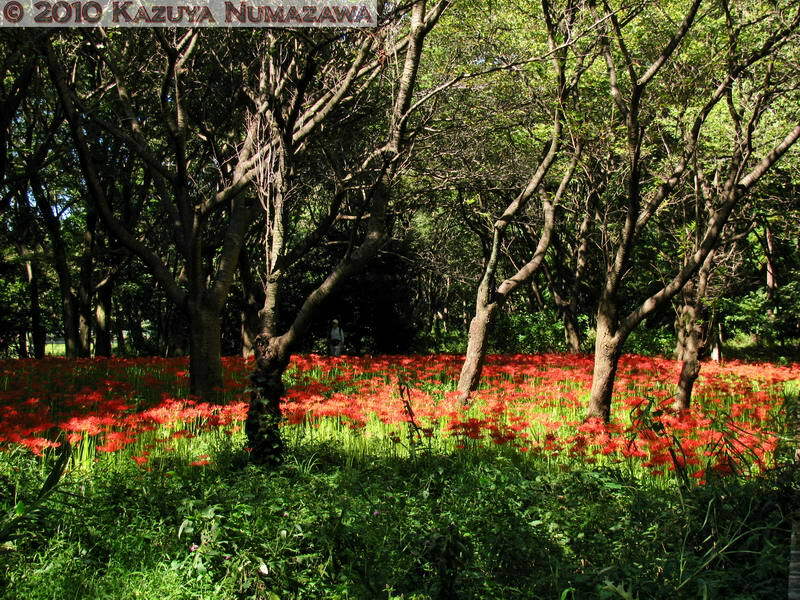 On September 25th Kazuya and I returned to Nogawa Park to see if anything had changed. We were shocked! 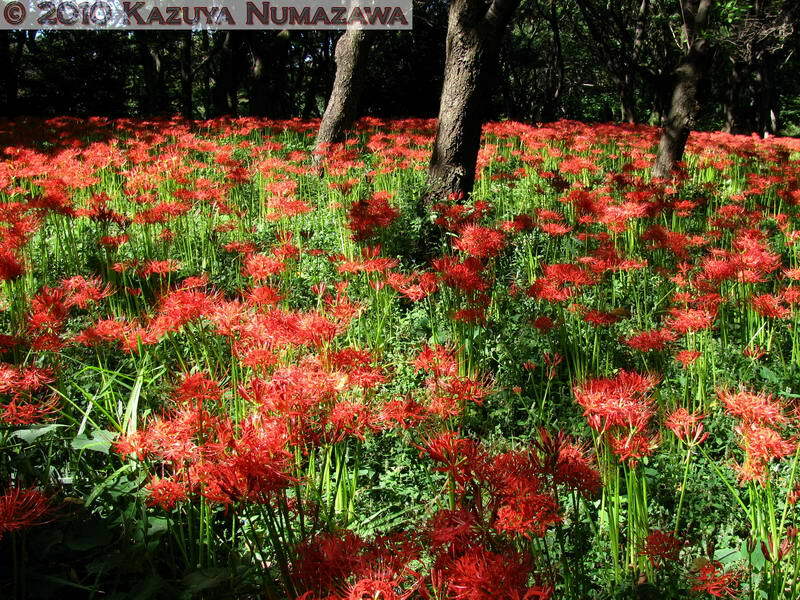 We knew that there was a small area of Cluster Amaryllis here, but when we visited on September 11th there was no indication that it even existed! Today it was in full bloom - a huge change in 2 weeks time. 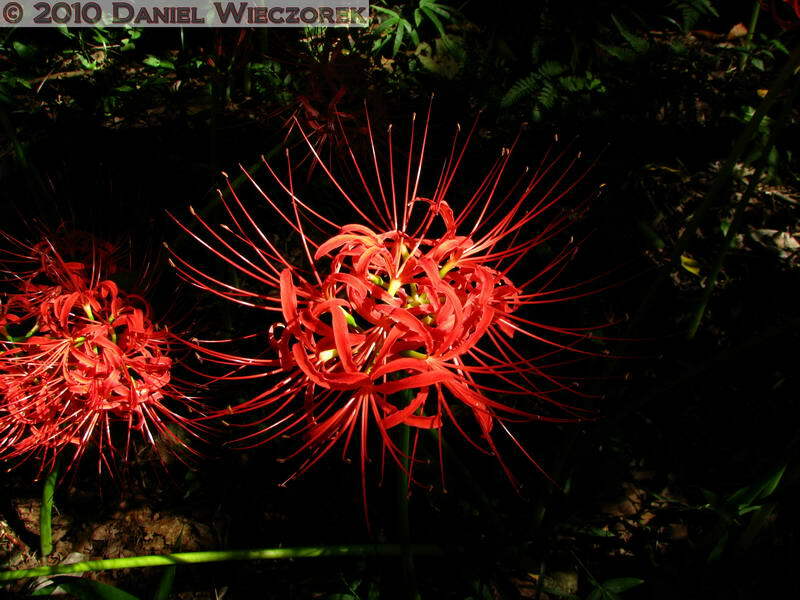 This plant apparently pops out of the ground and blooms very rapidly when the conditions get precisely right for it. 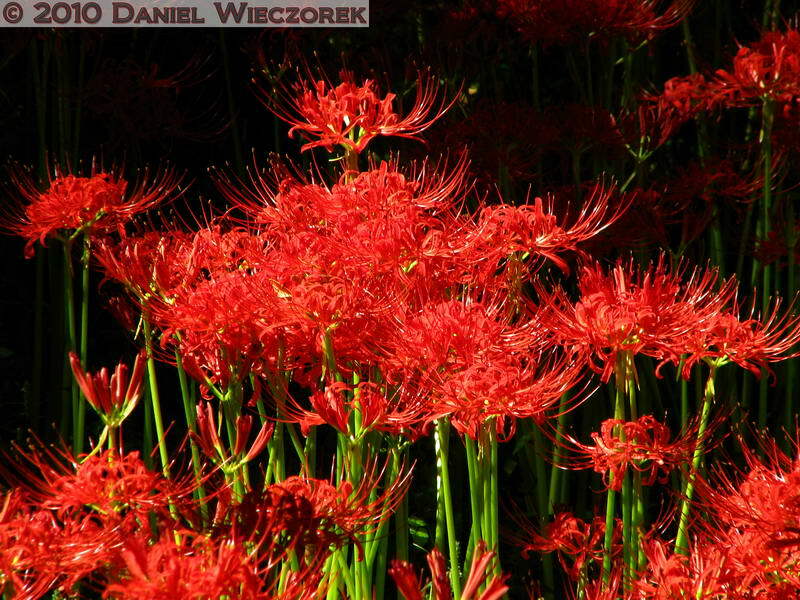 So, here are 3 shots of Cluster Amaryllis (Lycoris radiata). 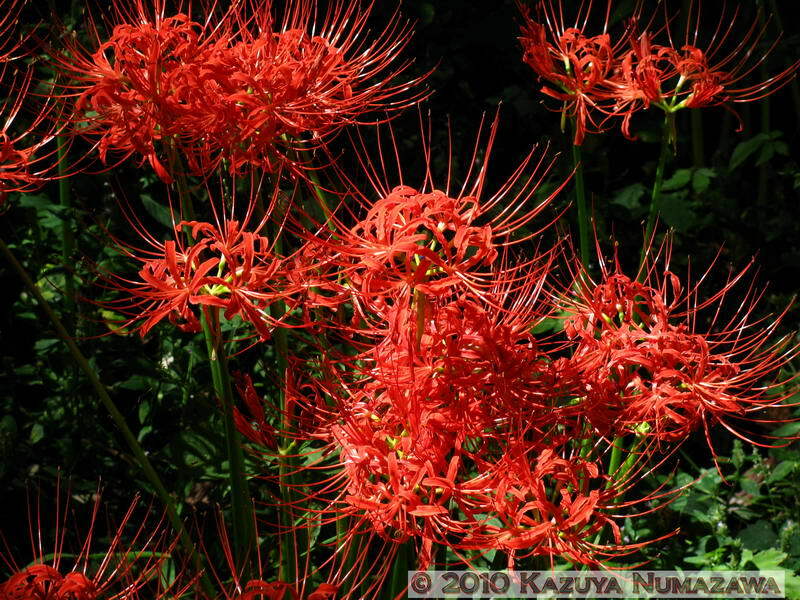 And, here are 3 more shots of Cluster Amaryllis (Lycoris radiata). Here are 2 shots of Caryopteris divaricata - an interestingly showy little flower. 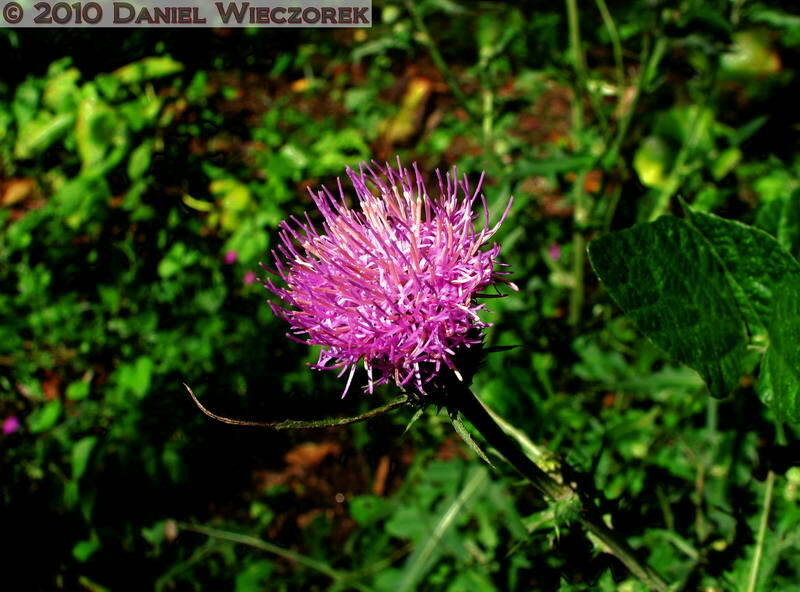 The 3rd shot is a Thistle flower - it has been Tone-mapped from 3 photos which were exposure bracketed. 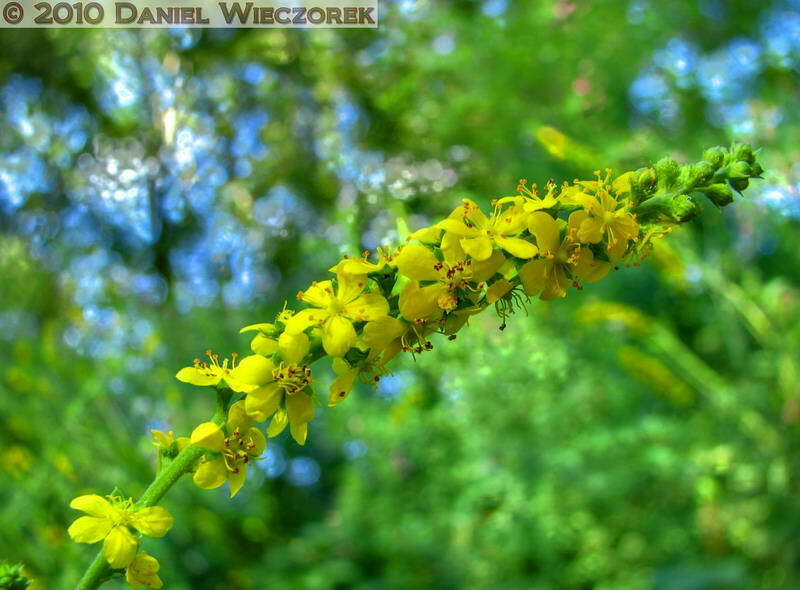 Here is a shot (actually 3 shots) of Agrimonia pilosa var. japonica - fused into one photo with Photomatix Pro. 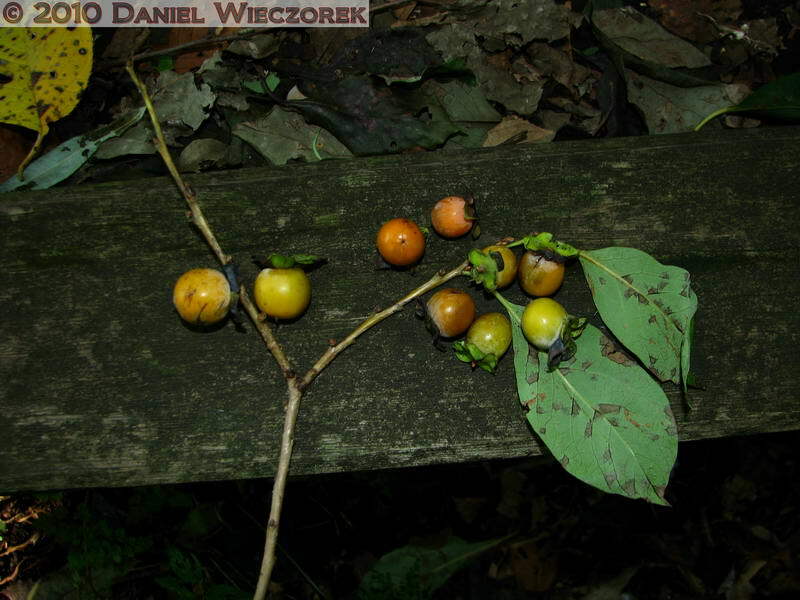 The 2nd shot is a Diospyros lotus - a type of miniature Persimmon. The 3rd shot is a scenery shot and is 3 photos Tone-mapped with the Details Enhancer portion of Photomatix Pro. 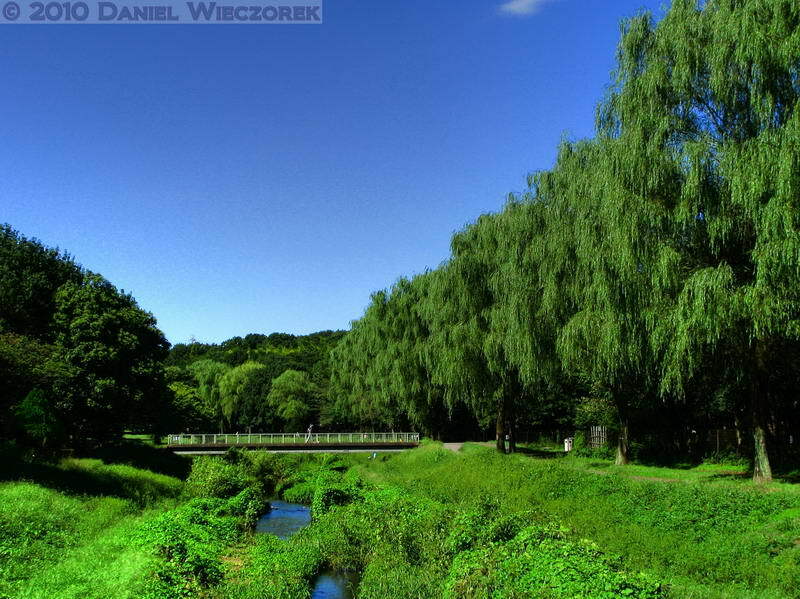 This is what is considered to be a HDR (High Dynamic Range) Photo.